# # # PIANTA SPECIALE # # # ESEMPLARE SELEZIONATO COLTIVATO PER ANNI COME BONSAI. Eta 10 anni. Diametro del vaso 10 cm. 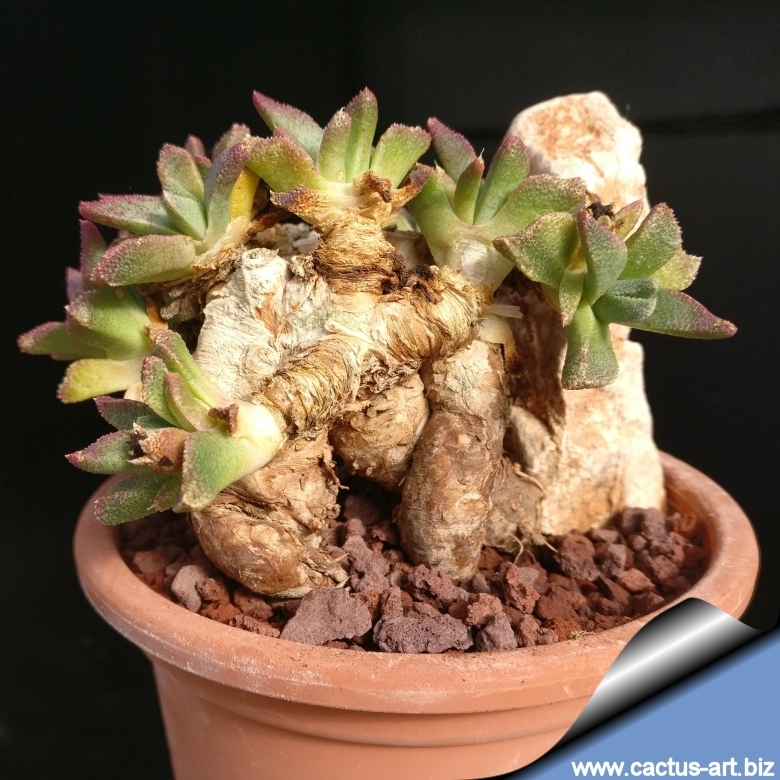 Questa specie è particolarmente apprezzata dagli amanti delle succulente allevate a bonsai. Origin: South-east part of Northern cape and South east part of North-western South Africa. Habitat: Grows usually in plains or on gentle slopes on fine loamy soils rich in lime, often among grasses in areas with sparse Acacia trees, the plants are often overlooked because of the dense vegetation cover. The rainfall are predominantly in winter ( 300-400 mm/year). 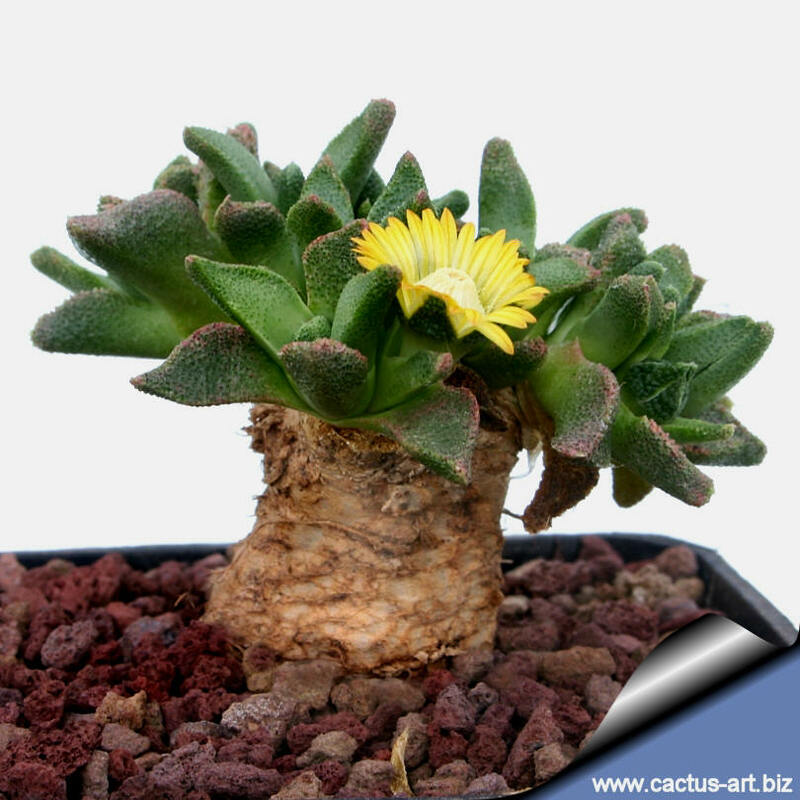 In the past identification of the genus Nananthus and especially N. vittatus was problematic. In fact the plants in habitat shows different growth phases and their appearance can change dramatically throughout the year and under different growing conditions. This is one of the reasons why identification in the past proved to be troublesome. Ecology: The mechanism of seed dispersal is through a higrochastic fruit and the seed is only dispersed in the immediate environment, which results in local small communities. 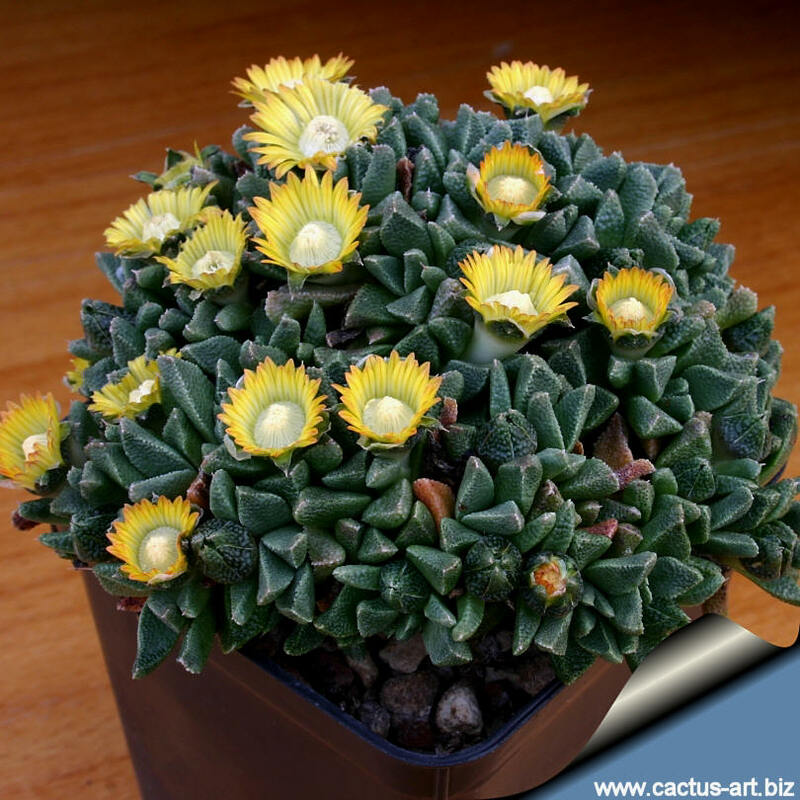 These succulent plants are popular among cacti and succulent plant growers. Description: It is a low, multi-branching, wrinkled, plant forming a mat with succulent leaves arranged in low rosettes and carrot like roots, will eventually form large caudex in time. 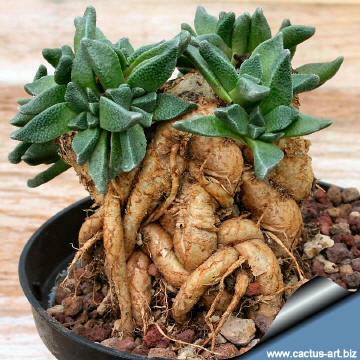 Root: Tuberous, gorgeous, fleshy up to 18 cm long. Leaves: In 6-8 pairs, 2-3 cm long, 0,6-0,9 cm wide, 0,3-,0,4 mm thick. They are opposite but of different lengths, spreading diagonally at most (Often erected under dry conditions) generally dark-green or dark olive-green, soft, ovate, lanceolate, sharpened on the top, keeled, the upper surface is slightly convex especially near the points, The adaxial and abaxial surfaces are rough and texturedwith fine warts (idioblasts) prominent in the upper leafs surface, sometime with a central channel. Flowers: 2-2,5 cm in diameter, daisy-like flowers, yellow with a red stripe down each petal. Fruit: Capsules up to 8 mm tall and 8-11 mm wide (valve wings approx 2-3 times as broad as the expanding keels). Seeds: 1,4-1,9 mm long, 1,2-1,6 mm large. 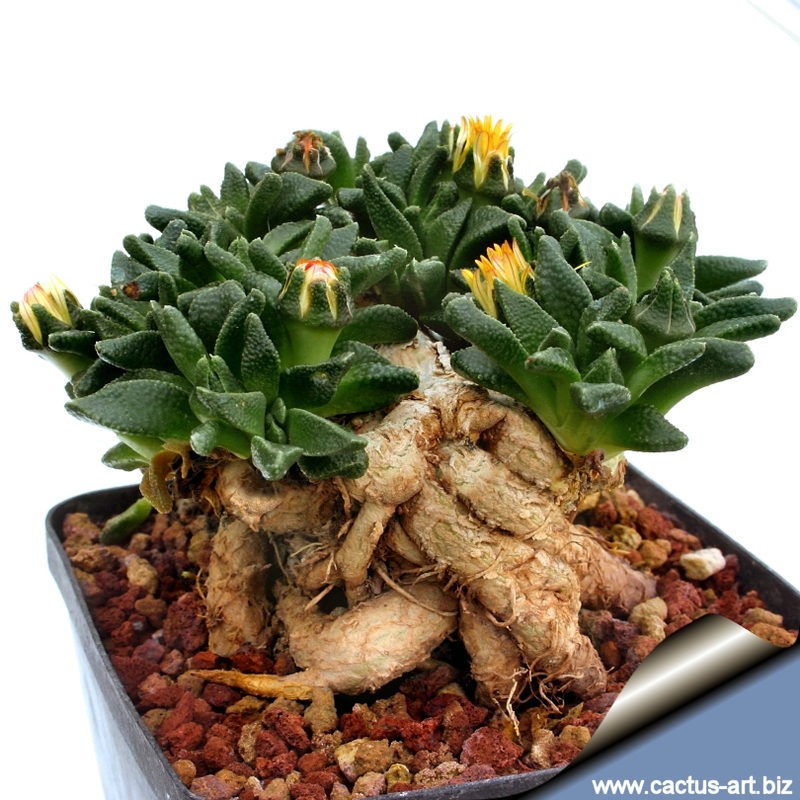 Nananthus vittatus is a low mat-forming plant. 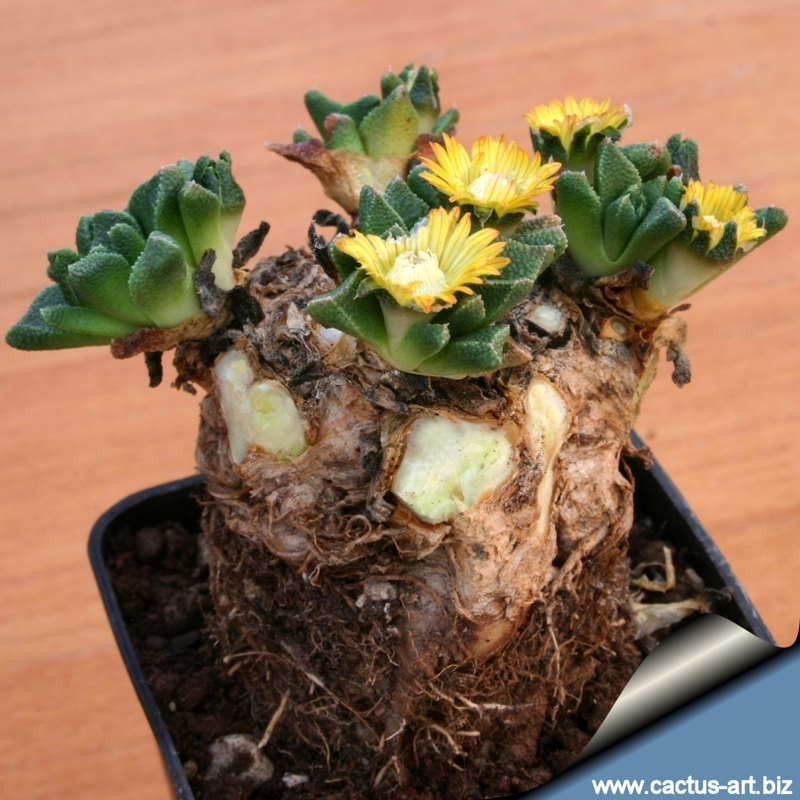 This species has a gorgeous, tuberous root system and is sought after by bonsai impassionate as it will form large rootstock (caudex) in time, the thick root and trunk eventually can be trained to the shape of a odd mini-tree. To a make a great succulent bonsai the plant must be frequently pruned, removing most of the exceeding rosettes form the plant crown. At same time the succulent roots must be progressively raised over the ground so that they can be seen. 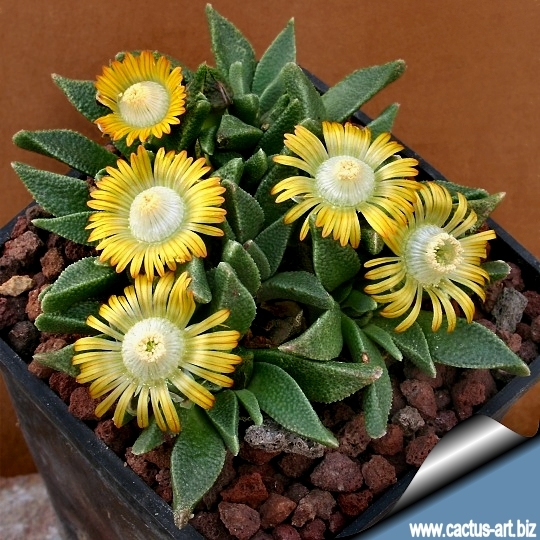 Cultivation: Nananthus are easy and rewarding plants. They grow on winter rain areas and were heading for summer dormancy. Suggestions have been made to keep them cool, shaded and dry in summer. This species usually "wakes up" in mid-Fall. 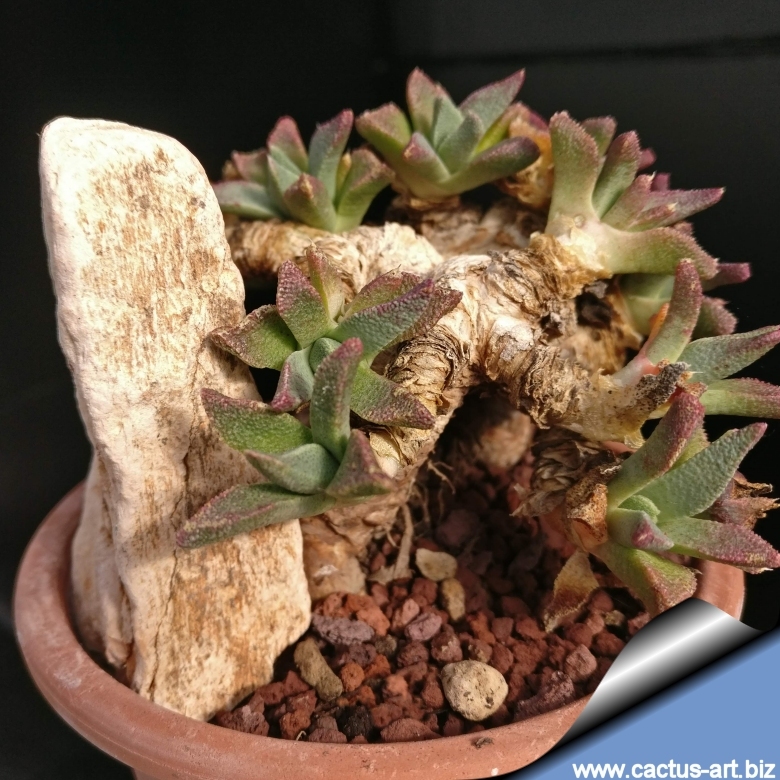 Water minimally in summer, only when the plant starts shrivelling. (but it is indeed a very adaptable species that can grows opportunistically in summer too if the water availability and growing condition are favourable). Requires good drainage. Keep cool in summer, need full sun or light shade on the other seasons. Frost Tolerance: Will take a small amount of frost for a short time (it is reported to be hardy to at least -12° C if very dry). Remarks: N. vittatus has a gorgeous, thick root system and when it is potted up, the plant can be progressively raised over the ground so that some of the roots can be seen and is especially cultivated for their looks. Architecturally it is a real stunner. 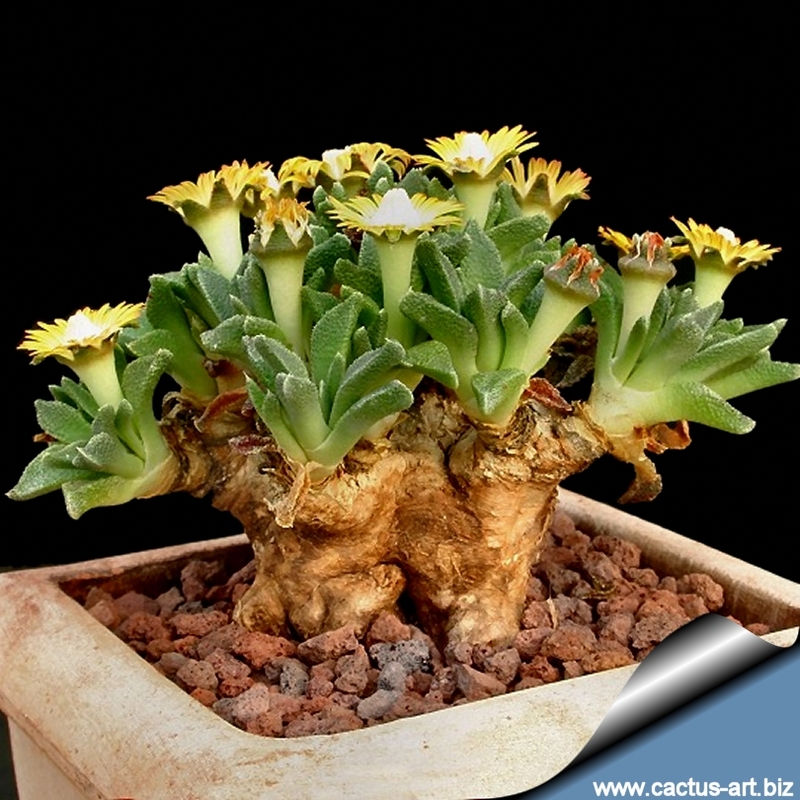 When the "caudex" shape of the raised roots is adequately in evidence this plant is incomparable. They also tend to grow more "heads" when they are raised.